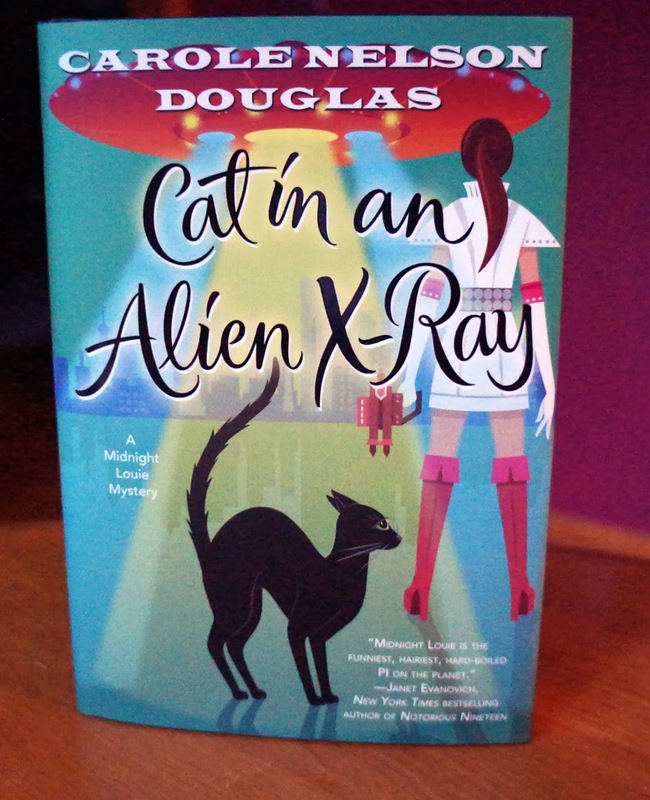 “Cat in an Alien X-Ray” is 25th in a series of mystery books written by Carole Nelson Douglas. If the copy I received is any indication, there’s plenty of “cat” in this series to satisfy any cat lover. The books are narrated from two perspectives: human and feline. The main character, Temple Barr, is owned by a black house panther by the name of Midnight Louie. Set in Las Vegas, Louie rules the night and conducts his own investigations while Temple (ostensibly in the PR business but frequently found up to her eyeballs solving mysteries) conducts her own. Along with both current and former boyfriends, that is. If you’re new to the series as I was, you may find the opening to be slow and a bit tedious as the first part necessarily fills in all the information you’ll need to know from previous books in order for you to jump into the story stream and understand the players. But once the action begins, the story picks up. Despite its title, no aliens make appearances in the book. Rather, the story line revolves around a new “Area 51” act, dead bodies, a female serial killer known as Kitty the Cutter and a late night, Dr. Phil-style radio talk show. 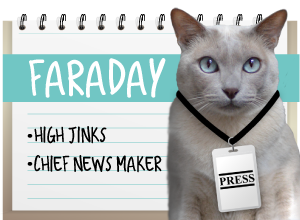 Oh, and plenty of narrative from the cat’s POV. 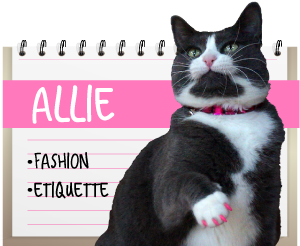 The feline repartee is written in a clever tone and there is a distinct underlying “gumshoe” style to the writing. Tell me in a comment why you’d like to win Cat in an Alien X-Ray, then make sure we have your email so we can contact you if you win. In order for your extra entries to be considered, you need to come back here and leave a separate comment for each extra activity you did. You have until midnight on Wednesday, September 18th to enter. A winner will be announced on September 27th. 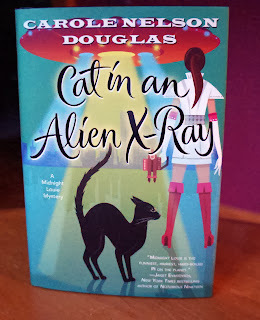 We were given a copy of the book "Cat in an Alien X-Ray" by Tor/Forge publishing so that we could review the book, but were not compensated for hosting the giveaway. All opinions in this article are our own. Leave ua out as we are not in the USA. Hope you enjoy and have a fabulous Friday. OH Momma loves to read so please consider us for your book giveaway! Sounds pawsome. I liked Tonk's Tail on FB. I'd love to win the book as I like cat sleuths and the funny thoughts and comment they make. Nice cover! Good luck to everyone entering the giveaway! A book? I love books! A kitty book is even better. You know I like you. Even on Facebook. I would love to win this book! It sounds like an awesome series! Ooooh! I know that Glogirly would love to win this! She loves mysteries and I'm pretty sure she likes cats too. I currently have this book out from the library and I would LOVE to own my own copy.! That sounds like a great book. Please can you enter me. Great review but I don't want to enter. TW only reads her BFF's cat books and she hasn't even read the last one. Ha ha. 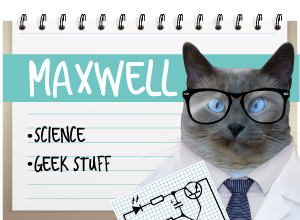 ...'cause the book involves cats AND if there are aliens you never know when an astronaut might show up. I'm STILL lookin' for an astronaut to read my blog, you know. ...and 'cause you're announcin' the winner on the 27th and that's peep #1's birthday. I could give the peep the book for her birthday. How neat would that be! I shared on Twitter and the peep and I both shared on Facebook and we already like you there, too. Oh! Wow! What a great giveaway! Mes already Likes (actually LOVES) yous guys on facebook and in person, and Me has shared on Facebook! And Me's put it on Pinterest! I'd love to win this book! I really enjoy feline mysteries such as the Cat Who... series, and Rita Mae Brown. But I haven't come across this series - it will be great to vice it a try! Thank you! Please enter me again cuz I shared on Facebook! I love stories about cats, and this sounds like a fun one! i like to win this book because this will be my first book ever. I live outside the US but when I win, you can send it to my mom's brofur in NY.